Justo Betancourt (b. December 6, 1940) is a Cuban singer famous for his interpretation of Pa' bravo yo. He was born in Matanzas, but has lived a significant amount of time in the United States and Puerto Rico. 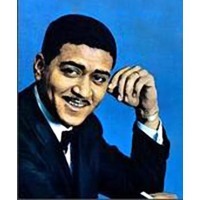 His music shows Cuban influence but developed in the direction of Puerto-Rican Salsa.Betancourt led a group called Borincuba (Conjunto Borincuba), a combination of the names Cuba and Borinquen, a name for Puerto Rico of Taíno origin. In addition to recording a number of solo albums, he has played with Fania All Stars, Sonora Matancera, as well as performing with musicians Eddie Palmieri and Ray Barretto, among others. He suffers from diabetes and was hospitalized after fainting in 2008.